I know how important family time is for military families, especially at this current stressful time. Disney makes it affordable to take a vacation by offering great deals at Disney World, Disneyland and on Disney Cruises! I would love to help military families plan their trips and take advantage of these special offers, so contact me today to get started! Click on your destination below for the latest information on military discounts available at your preferred destination! 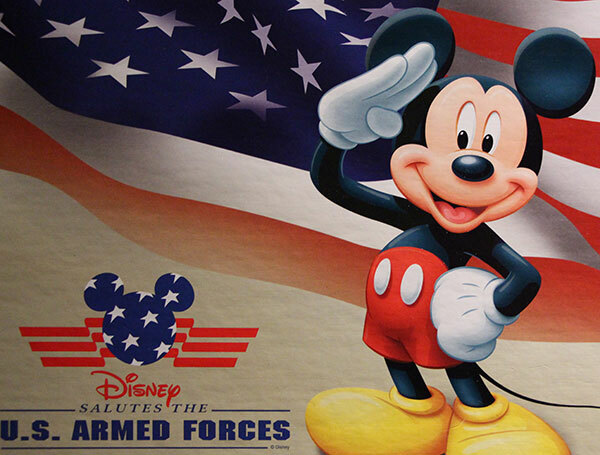 Information on Disney's Armed Forces Salute discounts and tickets, plus additional savings options! Disney Cruise Line offers a great discount for military families! Bookings may be made approximately 60 days in advance of sailing, contact me for a quote! Armed Forces Salute is also available at Disneyland in California!